I think the thing I love about Ovadia & Sons season after season is that their collections remind me of a (more expensive) menswear version of me. Or at least, what I often aspire to be: interesting and on-trend without being over-the-top; thoughtful styling with a lean towards the classic. I grapple with correctly describing men's pieces, there's so much jargon in the industry and on the Internets I really don't stand a chance. All I can really speak to is how the styling moves me, and perhaps whether I could see a real man actually wearing the looks. But really - what's great about this collection is that it hits that sweet spot between attainable and aspirational. The layers are easy to emulate because the elements are in many guys' wardrobe already: denim shirt, crew-neck sweater in a bold color, navy pea coat. 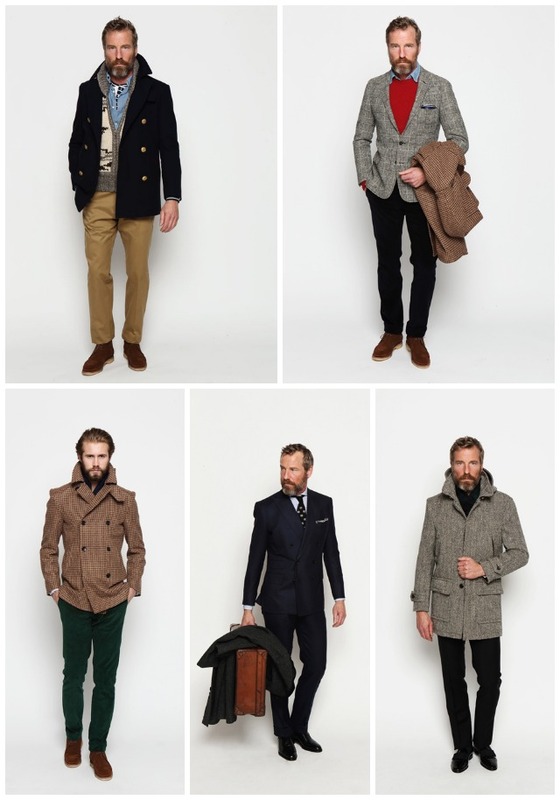 The key to looking fresh is that slim, slightly shorter than might feel natural pant and sharper-than-sharp outerwear. The too-good-to-be-true coat at bottom right is just icing on the (salt-and-pepper bearded) cake.